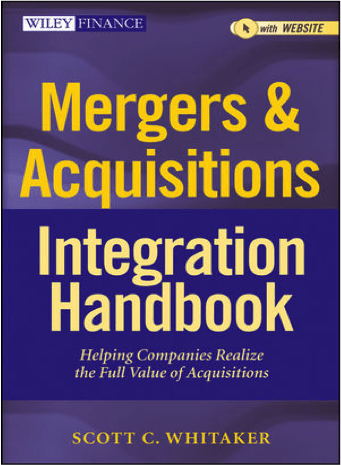 Mergers & Acquisitions Integration Handbook is a comprehensive resource to help companies create a scalable post-merger or acquisition integration process and framework that accelerates operating and business benefit goal realization. Includes tools, templates, forms, examples, and checklists to provide a no-nonsense “handbook” style approach to managing an effective integration. Botched integration is the number one reason mergers fail. Mergers & Acquisitions Integration Handbook shows you how to develop, execute and implement merger integrations and business strategies to realize your organization’s mergers and acquisitions goals.